orders larger than 3 dozen. 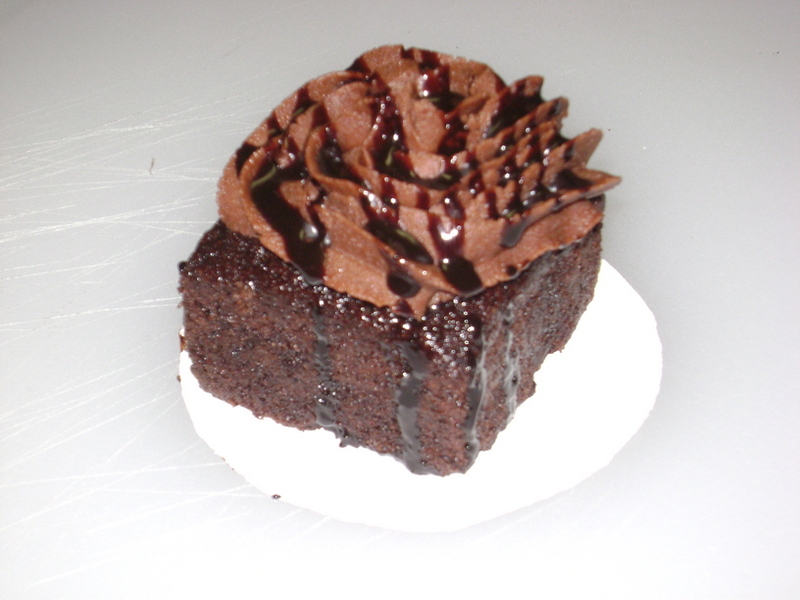 Scratch-made fondant available for cakes and decorations on cupcakes. 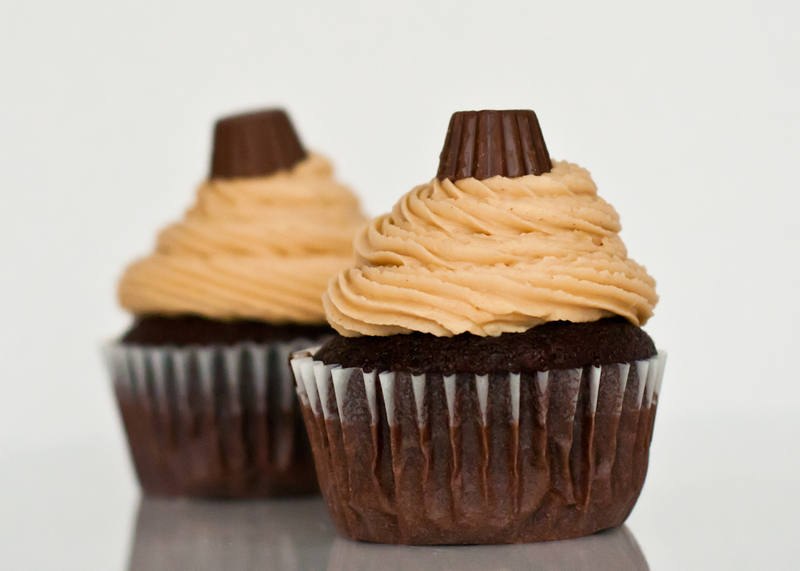 Chocolate cupcake, with creamy peanutbutter icing, topped with a mini peanubutter cup. 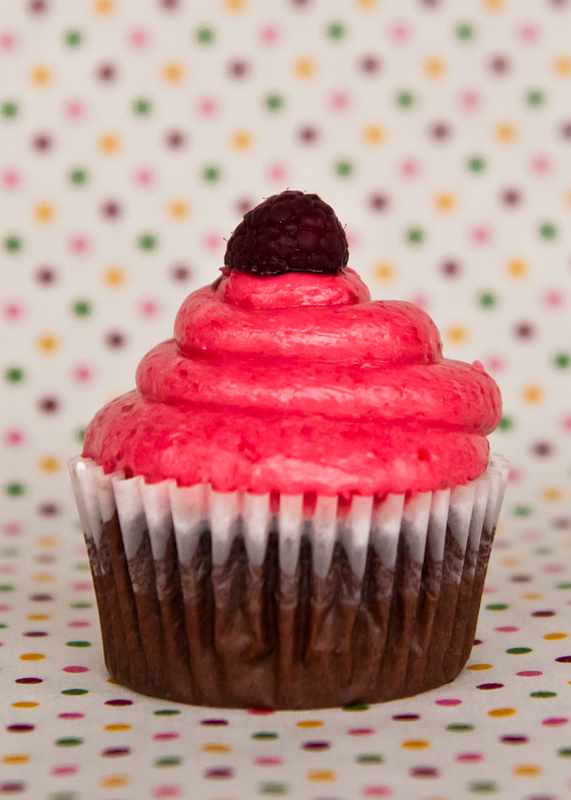 Chocolate cupcake filled with raspberry filling, frosted with raspberry buttercream and topped with a fresh raspberry. 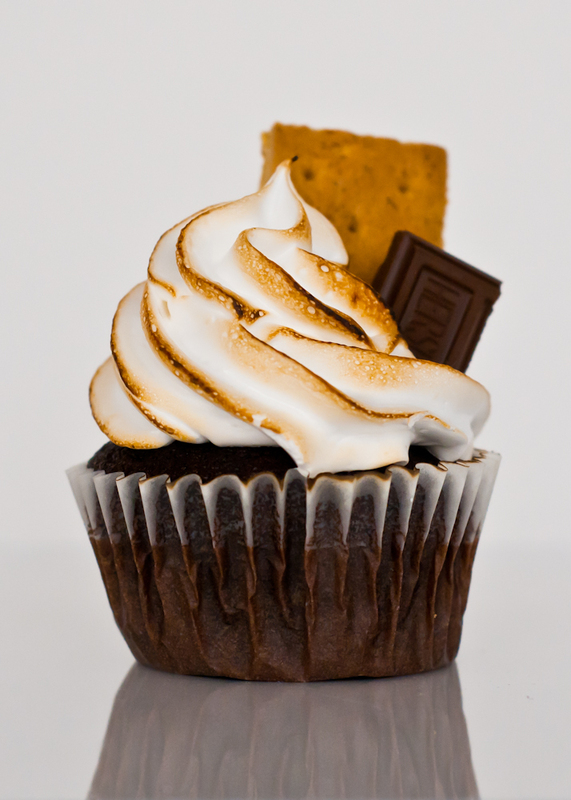 Chocolate cupcake with marshmellow filling and topped with toasted marshmellow icing, garnished with a graham cracker and Hershey bar. 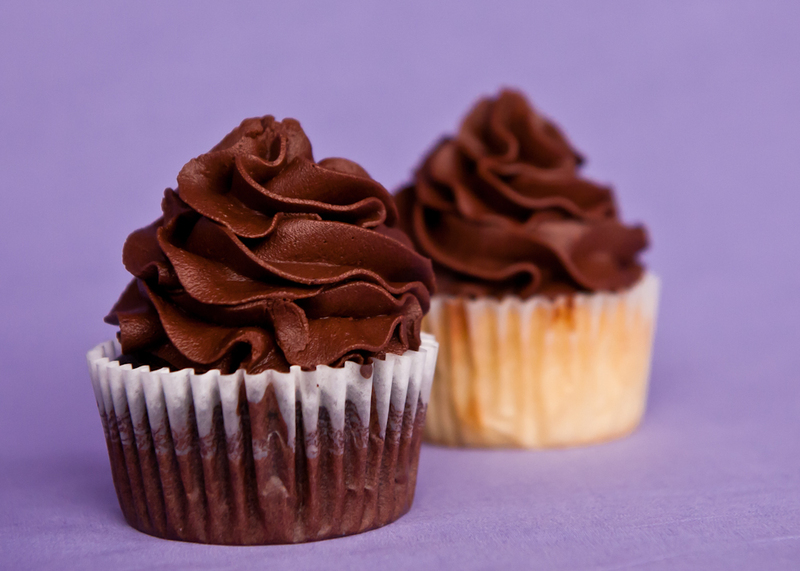 Chocolate cupcake filled with chocolate fudge, topped with creamy chocolate icing and chocolate fudge drizzle. 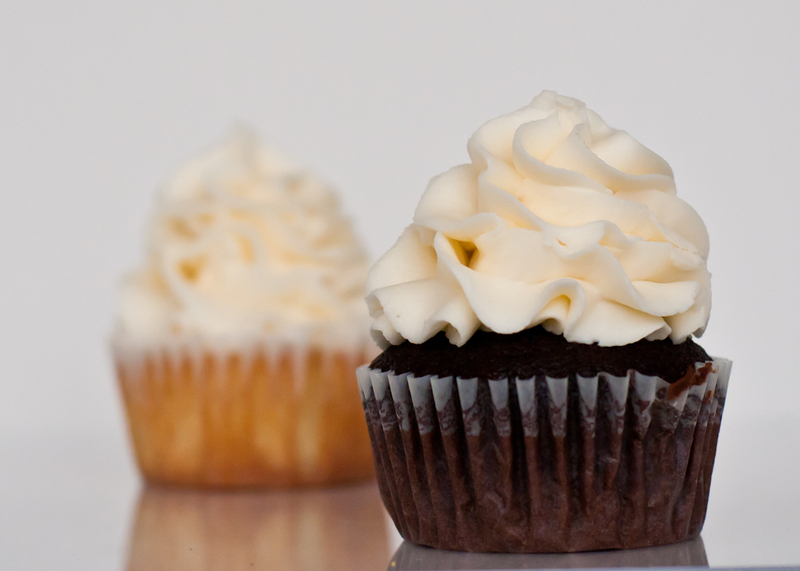 Can you say "YUM"? 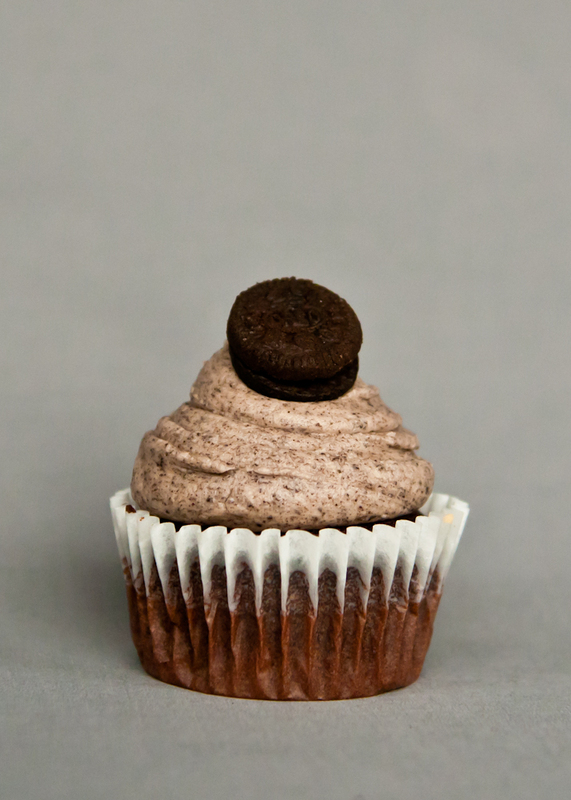 Chocolate cupcake with vanilla icing loaded with crushed Oreo cookies, topped with a mini Oreo cookie. 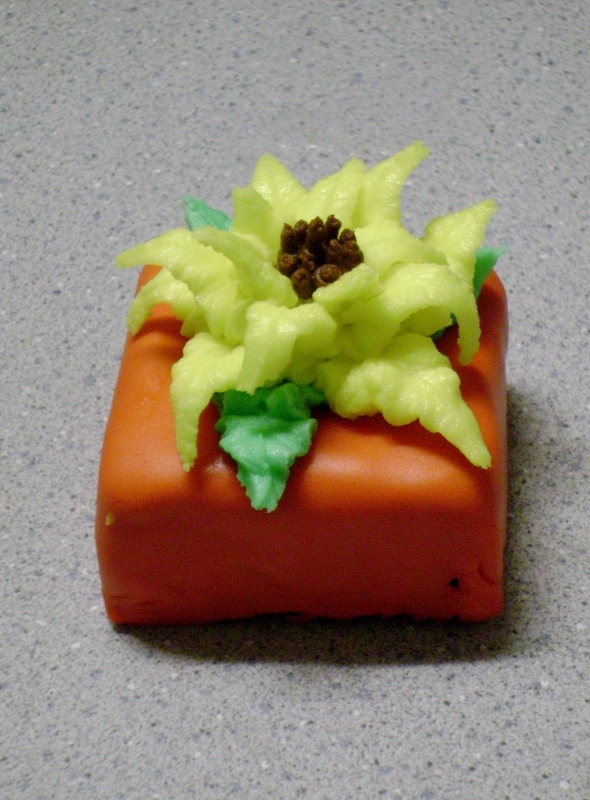 Cake shown is a vanilla mini cake covered with vanilla fondant and topped with a buttercream sunflower. 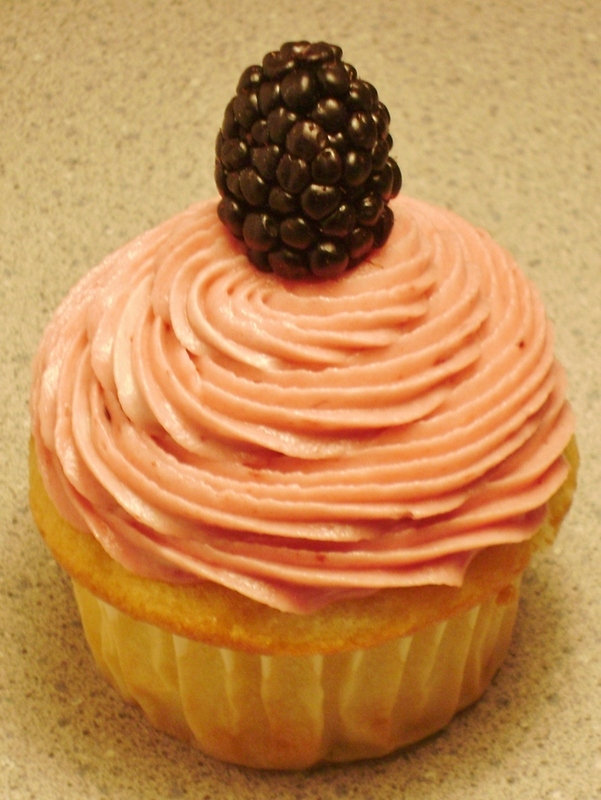 Blackberry invused vanilla cupcake with blackberry buttercream icing, topped with a fresh blackberry. 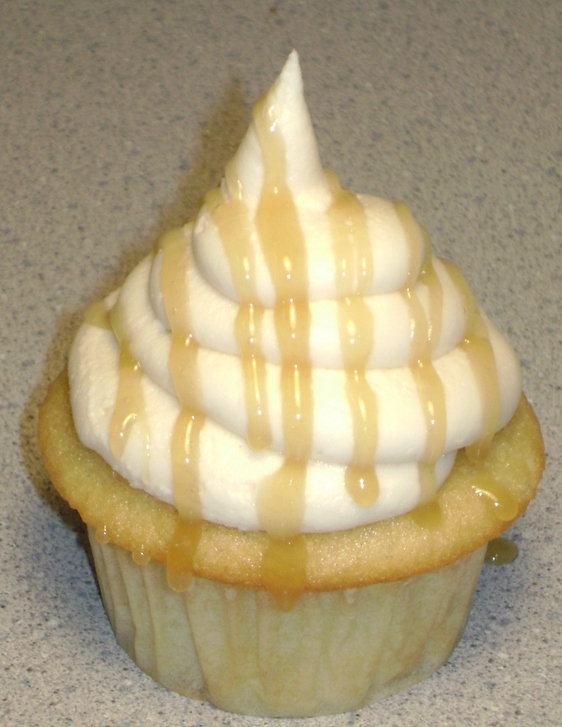 Vanilla cupcake with carmel filling, topped with carmel icing and carmel drizzle. 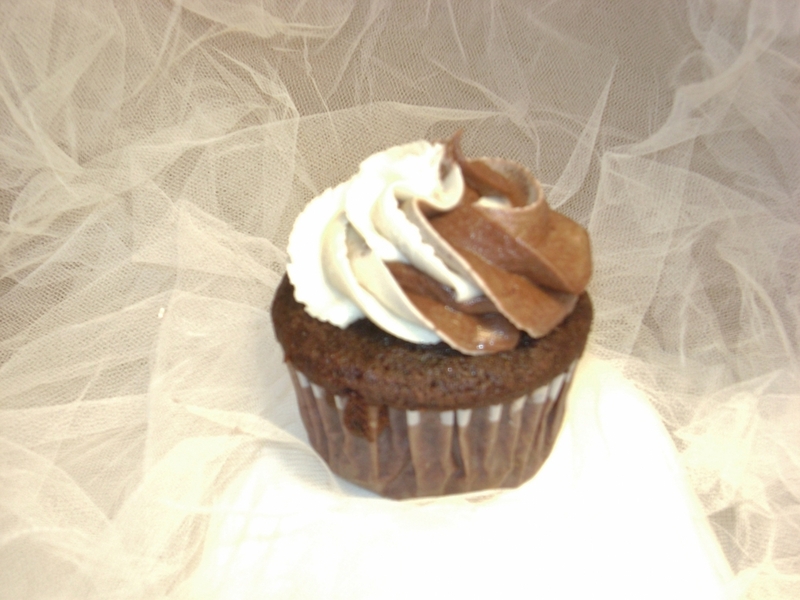 Chocolate cupcake with vanilla and chocolate swirll buttercream icing.